At 9:44 a.m., CSX dispatch reported that one of their trains had just struck a pedestrian on the railroad tracks in the area of the Liberty Pike crossing. Emergency responders located the victim in a wooded area north of Liberty Pike; he died at the scene. 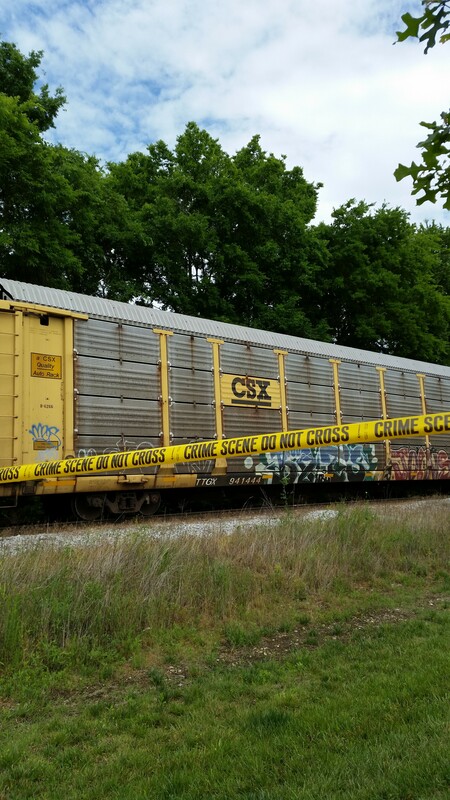 The Franklin Police Department’s Critical Incident Response Team, a component of the Traffic Unit, is investigating with assistance from CSX Railroad Police. The victim has been identified as a 17-year-old male who lives nearby. His family is devastated, and says that he left home a short time before the accident to walk to a nearby business where his girlfriend was working. Traffic Investigators have determined that the teen had stereo ear buds in his ears and was walking with his back to the train when he was struck. Every indication points to this as being a tragic accident.